Leeks have a long season in our temperate climate, cropping from late autumn through spring. Although plain steamed leeks is thus a winter staple in our house, I often dress them up for a change of pace. Many recipes specify using only the white parts of leeks, but I prefer to use as much of the tops as possible, removing only what is damaged, easily distinguished in the photo above (or late in the season, the green bits that are tough as leather). The green portions have a stronger flavour than the white parts, and provide a welcome colour contrast on the plate. 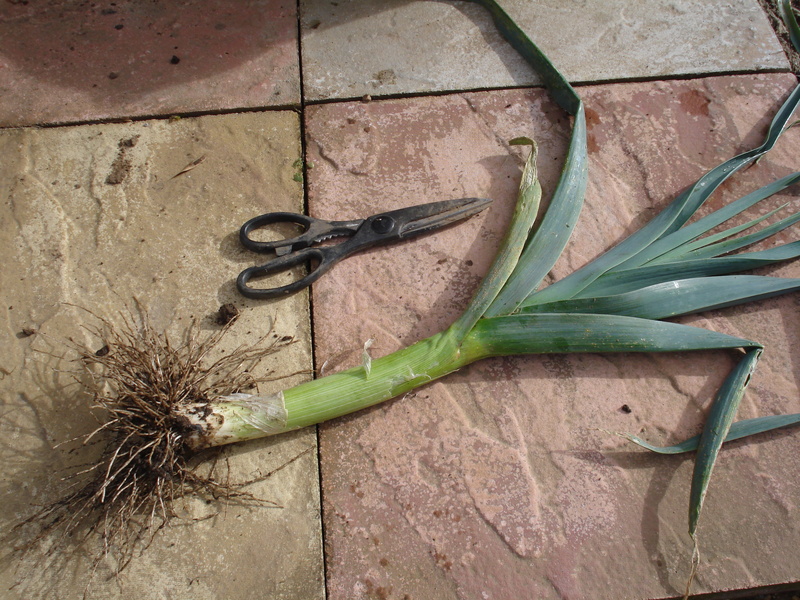 Cut off roots and any damaged leaves from the leeks. Cut in half along the length of the vegetable. Wash well in cold water; shake off excess. Slice across the width. Fine pieces about ¼ inch wide will cook quickly. Peel the slice of ginger root and chop very finely. I use about a tablespoon; adjust to taste. Put leeks and ginger in microwavable bowl with about a tablespoon water. Cover loosely. Microwave 1 minute on high (800W). Melt butter over low heat in medium saucepan. Stir in flour with a whisk. Add a dash of ginger powder now, if not using fresh with the leeks. The dry ingredients should absorb all the fat, and clump together. Pour over reserved vegetables and stir to incorporate well. Cover and keep warm until ready to serve. That sounds so good! WIll have to try it!